Bruce Davis, 38, was described by the Crown as the leader of the Kamloops faction of the Wolf Pack gang alliance. 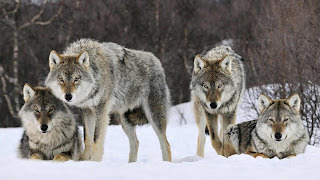 The Wolf Pack is a coalition of gangsters from the Hells Angels, Independent Soldiers and Red Scorpions. He pleaded guilty to possession of a restricted firearm. Davis had been facing 17 additional drug and firearm related charges but they were stayed. Court heard the police raid on May 26, 2016 turned up more than $25,000 in cash, drugs and a number of firearms — including some hidden in an attic. One gun seized was a Tec-9 with a 13-inch silencer. Two others were loaded “ghost guns,” which are built illegally with no traceable markings. Davis’ gun, a rare .25-calibre pistol, was found in a box containing his wallet and passport. The judge sentenced Davis to 33 months in prison, but credited him with all but 28 days of that sentence for time served since his arrest.